The Pittsburgh toilet. Squeaky cheese. City chicken. Shampoo Banana. Chevy in the Hole. These are all phrases that are familiar to Midwesterners, but foreign to anyone living outside the region. 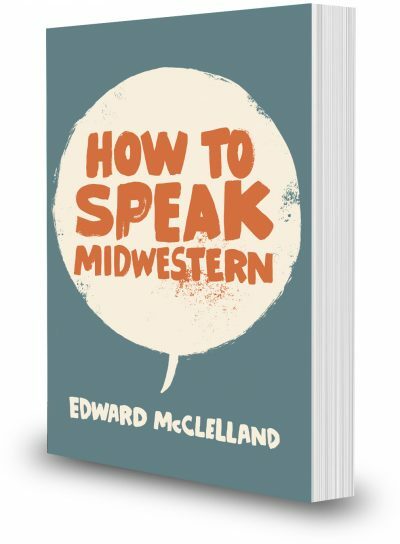 Find out what they mean in author Edward McClelland’s upcoming book on Midwestern speech and sayings. McClelland will not only explain what Midwesterners say, but how and why they say it. His book will examine the causes of the Northern Cities Vowel Shift, one of the most significant changes in English pronunciation in a thousand years.